Groundhog Day is a traditional holiday originated in the United States and is celebrated on February 2nd every year. 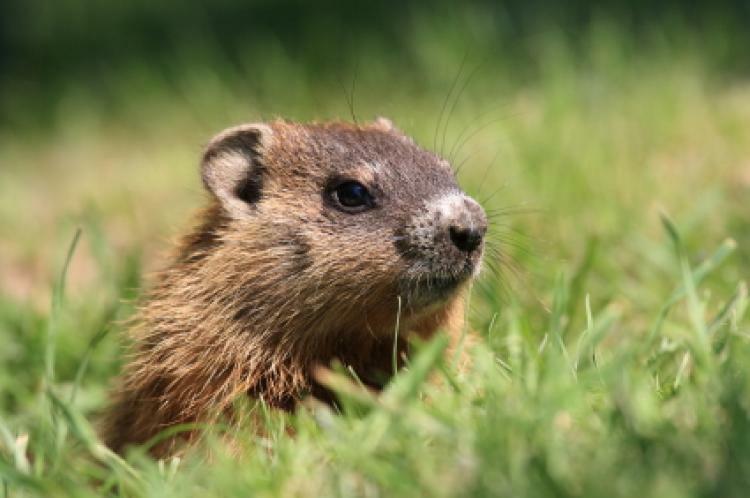 The tradition has it that if the groundhog sees its shadow it will be scared by it and will then return to its burrow, signifying that there will be more 6 weeks of winter. If it does not see its shadow, then spring is on its way. Modern traditions of this holiday engage early morning partying to watch the groundhog's up-and-coming from its burrow. In southeastern Pennsylvania, Groundhog Lodges or Grundsow Lodges celebrate the day with social events in which food is served, speeches are made, and one or multiple plays and skits are performed for entertaining the crowd. The Pennsylvania German language is the only language spoken at this occasion, and those who speak English will have to pay a penalty, more often than not in the form of a nickel, dime, or quarter per word spoken, people need to add the money in a bowl kept in the center of the table. Groundhog Day was adopted in the U.S. since 1887. Clymer H. Freas who was the editor of a local paper Punxsutawney Spirit at the time, and he began promoting the town’s groundhog as an authorized "Groundhog Day meteorologist". 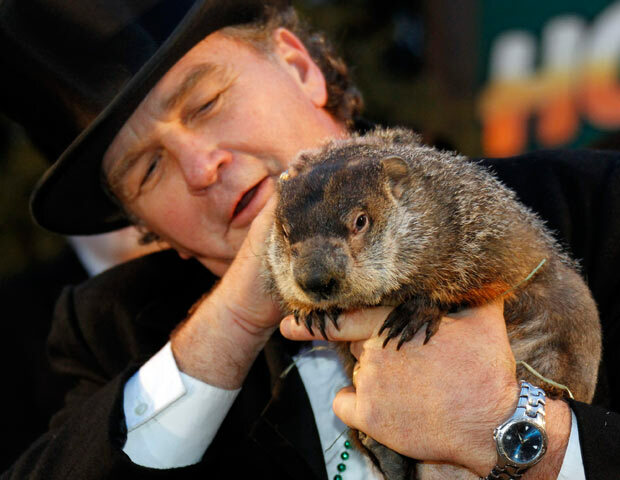 The major Groundhog Day celebration will be held in Punxsutawney, Pennsylvania with Punxsutawney Phil. Groundhog Day is widely recognized and popular tradition and it also received widespread attention as a result of the 1993 film Groundhog Day. Thousands of years ago when animalism and environmental worship were common, people of Europe now known as Germany thought that the badger (pester) had the supremacy to foresee the coming of spring. While then they used to watch the badger in order to know when to plant their crops. However, by the time they migrated to America and established in Pennsylvania they almost understood that this was not true, but it is a tradition continued by the Pennsylvanians. In coming years there were not many badgers in Pennsylvania; so the groundhog was substituted for the badger.